Mrs. Carolyn Marie Reid Ellis was born in Camden, South Carolina to the late Mr. Jackson and Mrs. Marie Reid. She entered into eternal rest on February 5, 2019, at Kershaw Medical Center. 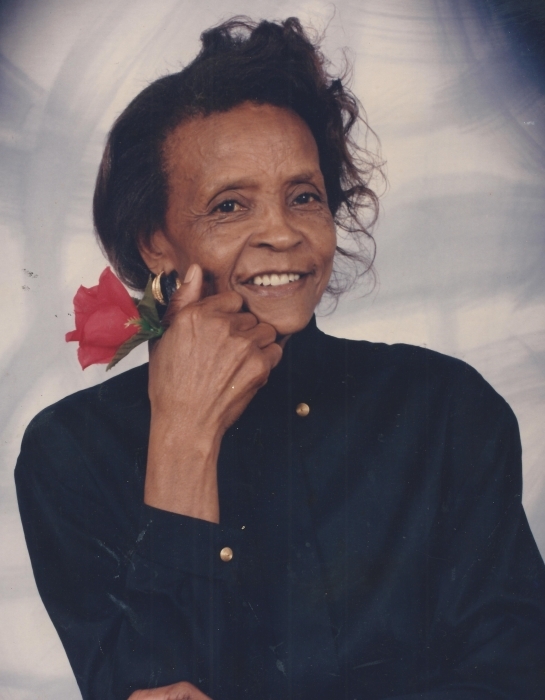 She was preceded in death by her husband, the late Mr. Sam Ellis Jr., daughters Mrs. Corrine Yvette Ellis Portee and Mrs. Terry Denise Ellis Lawson. Sis. Carolyn was educated in the Kershaw County public school system where she graduated from Jackson High School in 1958. She worked for many years as a housekeeper. Sis. Carolyn was a life-time member of Good Hope Wesley Chapel United Methodist Church in Camden, South Carolina, where she was dedicated to worshipping her Lord and Savior Jesus Christ, serving the congregation as a faithful member of the usher board until her retirement from this role in 2015, encouraging her Sisters and Brothers in Christ and supporting her pastors in their ministries. She was known at Good Hope Wesley Chapel for her love of music and praising the Lord! She leaves to cherish her memory and to continue her legacy of love: her daughters, Mrs. Carol Ann Ellis-Jones and Mrs. Mary Louise Hagins (Lynroy) both of Camden, South Carolina; her son, Mr. Christopher Ellis, of Camden, South Carolina; three sisters, Mrs. Corrine Allen of Rembert, South Carolina, Mrs. Dianne Thomas and Mrs. Edith Drakeford, both of Camden, South Carolina; nine grandchildren, Takeisha, Teolynsky, Jamaal, Angelek, Latoya, Latasha, Stephanie, Matthew and Clarissa; fifteen great grandchildren; and a host of beloved family members and friends. Carolyn will be remembered by all who knew her for her love of family and the pictures of her loved ones which beautifully decorated her home.